18VX2 Chain Saw Kit & Angle Grinder. 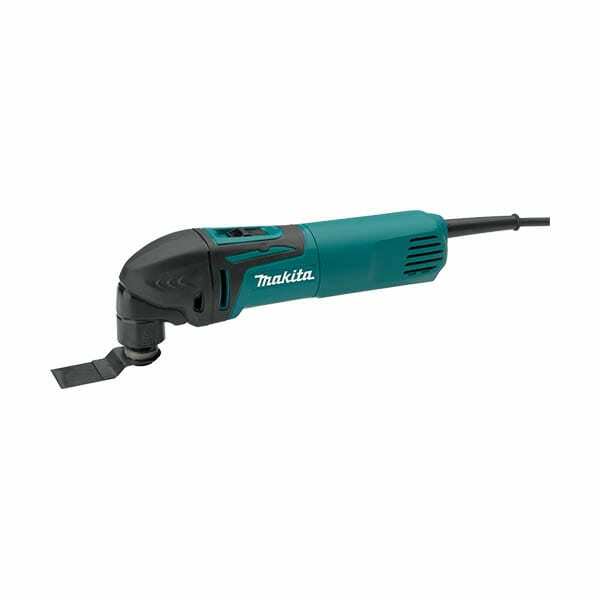 Makita-built motor delivers 1,650 FPM chain speed for faster cutting. Two 18V LXT Lithium-Ion batteries deliver power and performance without leaving the 18V LXT platform. 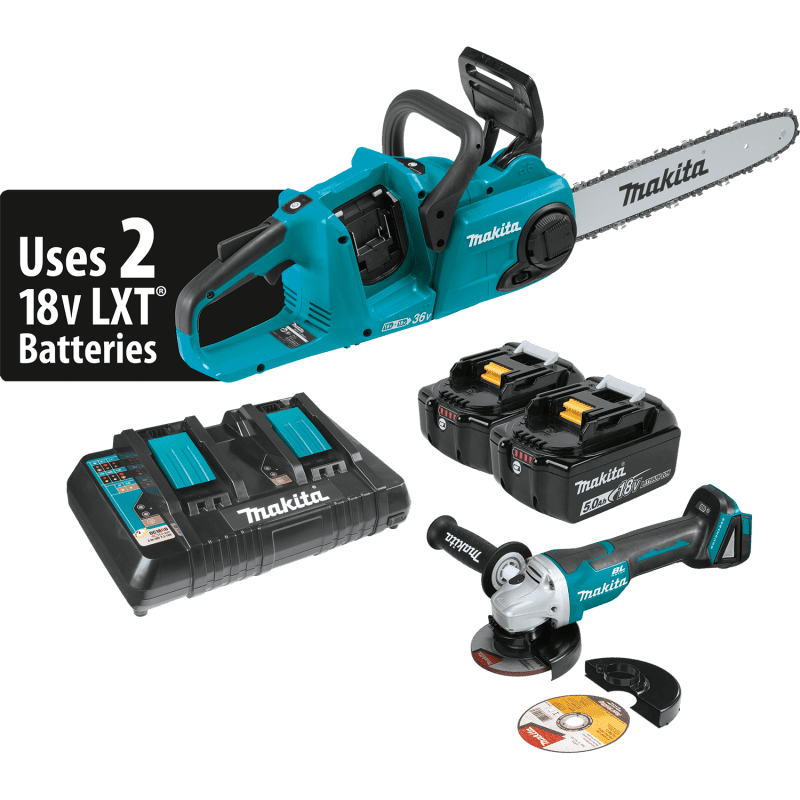 The 18V X2 LXT chain saw is powered by two 18V LXT batteries, so you get maximum performance and run time for corded and gas-powered demands, without leaving the 18V LXT platform. Model XCU02PTX1 is a kit and includes two fast-charging 18V LXT 5.0 Ah batteries and an 18V dual port charger that will charge two batteries simultaneously for increased productivity and less downtime. The kit also includes an 18V LXT Brushless 4-1/2 In. 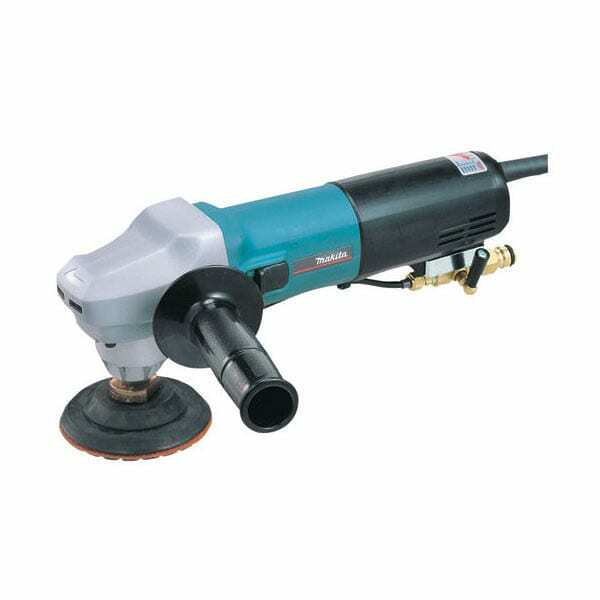 paddle switch angle grinder that is engineered for corded grinding performance without the cord. The XCU02PT chain saw has a 12 In. 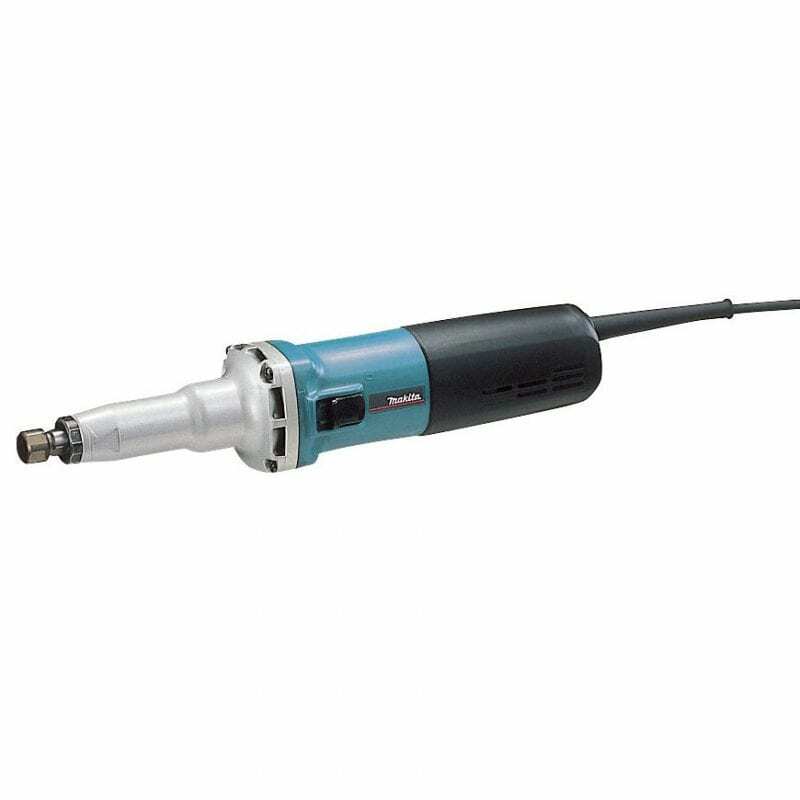 guide bar and the Makita-built motor delivers 1,650 FPM for increased cutting speed, but with less noise (only 89dB(A)). It has zero emissions and reduced maintenance: there’s no engine oil to change, no spark plug to replace, and no air filter or muffler to clean. And there’s no need to drain the fuel for storage. 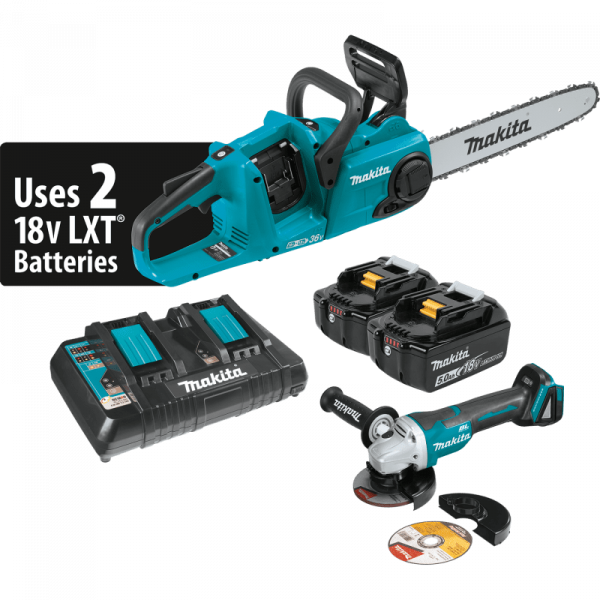 Simply pick up your XCU02PT, load two 18V LXT Lithium-Ion batteries, and the saw is ready to use. Additional features include a tool-less chain adjustments, a front hand guard engineered to actuate chain brake when engaged, an electric brake for maximum productivity, and more.